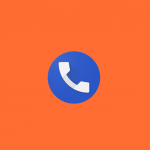 The Google Phone app is the pre-installed dialer application on the Google Nexus and Google Pixel smartphones. It offers a number of useful features such as automatic spam caller detection and a floating bubble for multi-tasking during phone calls. The latest beta version of the application is rolling out on the Google Play Store, and it hints at a new feature that Google has been working on in AOSP for a few weeks now. 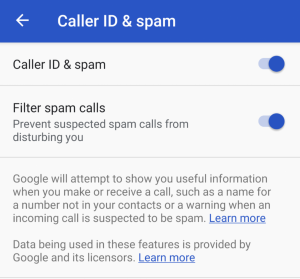 Currently, the Google Phone app is able to screen unwanted phone calls based on a database of suspected spammers/scammers. In comparison, the new feature called “Call Screen” will use real-time audio transcription of the phone call to warn you if you’re about to enter a phone call with a robot. This bolsters the dialer’s automatic detection of suspect spam callers. The feature is not yet accessible in the latest version of the Google Phone app as the AOSP implementation is still incomplete. The strings show that you will be able to send quick responses to screened phone numbers. This will be done over SMS according to this commit. Interestingly, the “Call Screen” feature will work without Wi-Fi or data connection. That’s great news for those of you concerned that Google will store all of your phone calls. The strings state that the audio and its transcription are only stored in your local call history. Once the feature rolls out widely, we’ll let you all know. You can download the latest version of the Google Phone app from the Play Store. If you want the latest beta version, you can grab it after signing up for the beta program or side-loading it.